In 1979 the world changed forever when VisiCalc, the first spreadsheet for personal computers, launched on the Apple II. 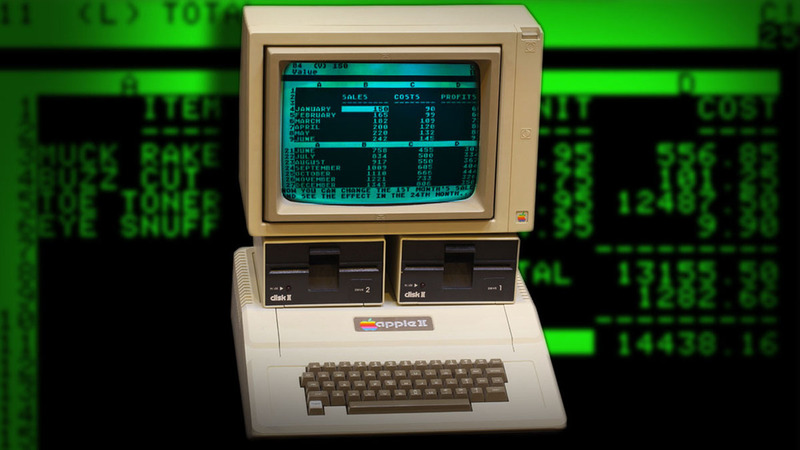 In 2016, Tiller ups the game, taking your Apple II and VisiCalc spreadsheets to new heights. Tiller feeds your bank transactions into your VisiCalc spreadsheet each day. Thanks to the magnificence of Al Gore's superhighway, your financial spreadsheets will always be current. Welcome back, Apple II. "I've just finished unpacking my Apple II again. 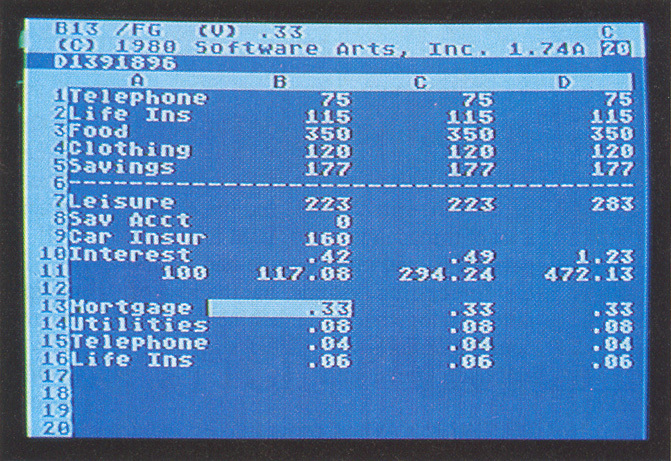 VisiCalc and Tiller are a personal finance guru's dream." "VisiCalc powered by Tiller? We haven't had anything so game changing hit mom's basement since Elvis came on our show to share his investing secrets." Paired with the Novation or high-baud Hayes Smartmodem 300, your VisiCalc spreadsheets will always have the latest data. Balance your checkbook in seconds. Do you feel like your head is in the cloud? Put your data on a floppy disk and it will always be within reach. Need redundancy? Put one floppy in your briefcase and another in your pocket. Black text on a white screen. White text on a black screen. Blinking text. Endless options. Your financial dashboard is always updated and formatted just the way you like it.